I have a confession to make. 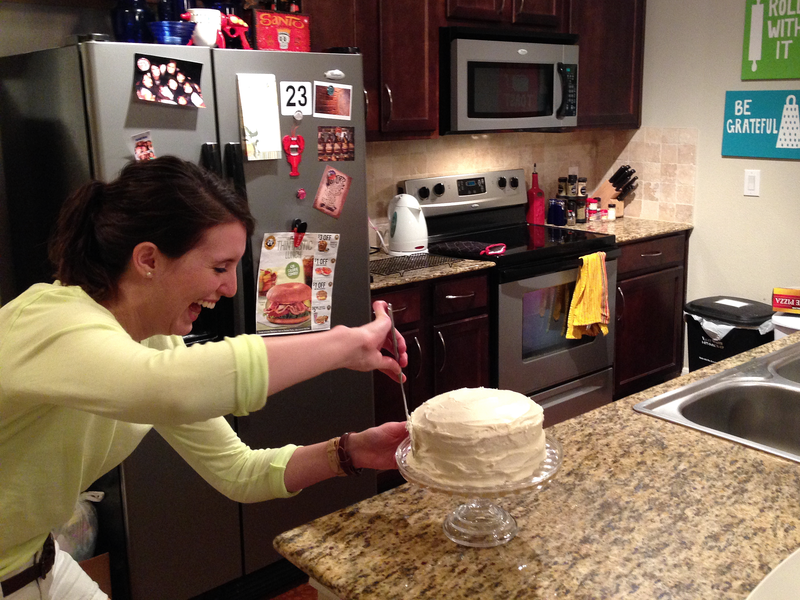 I really do enjoy boxed cake. 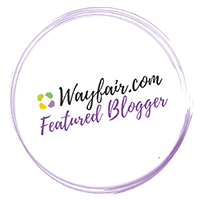 It’s easy, cheap, and failsafe. 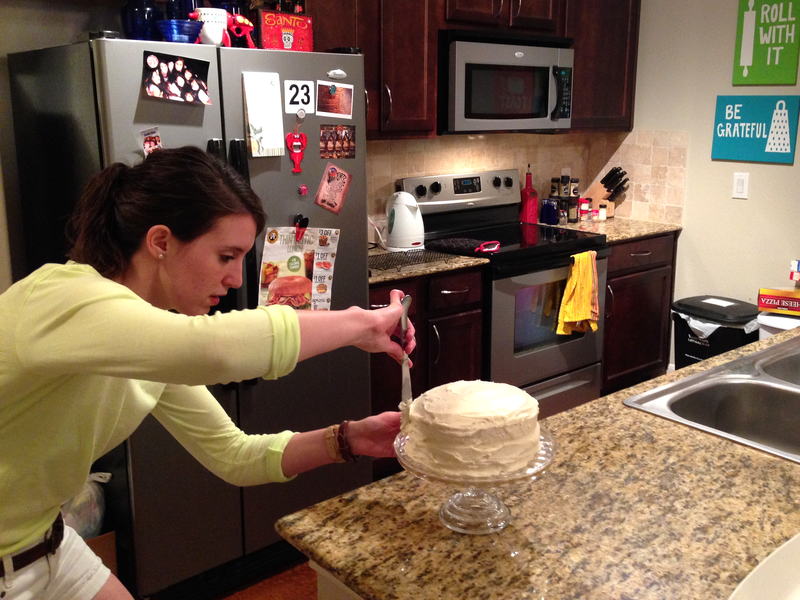 The main reason boxed cake can be so amazing though, is because of homemade buttercream frosting! It’s to die for and really not a huge deal to make. Making your own frosting takes a boxed cake to the next level and really gives the cake an overall homemade taste. 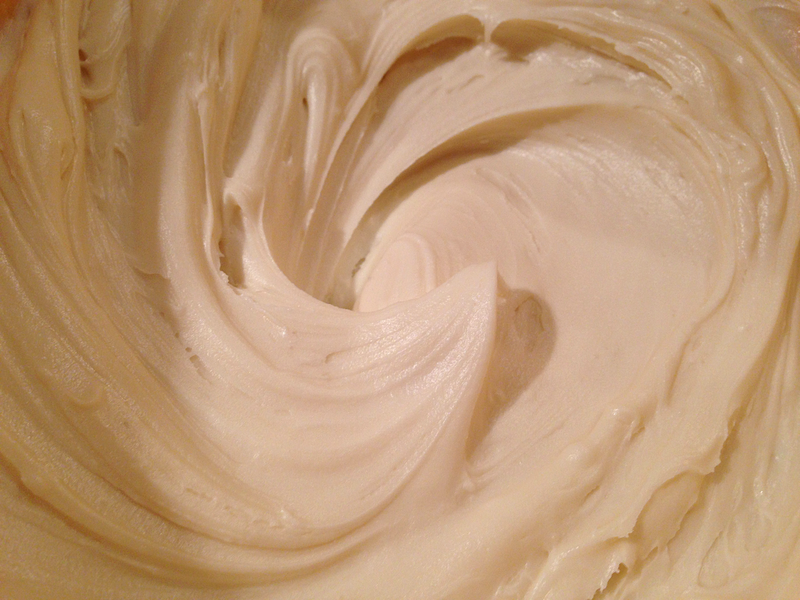 Skip the old canned frosting next time and try this homemade buttercream frosting. I dare you to not lick the bowl! P.S. 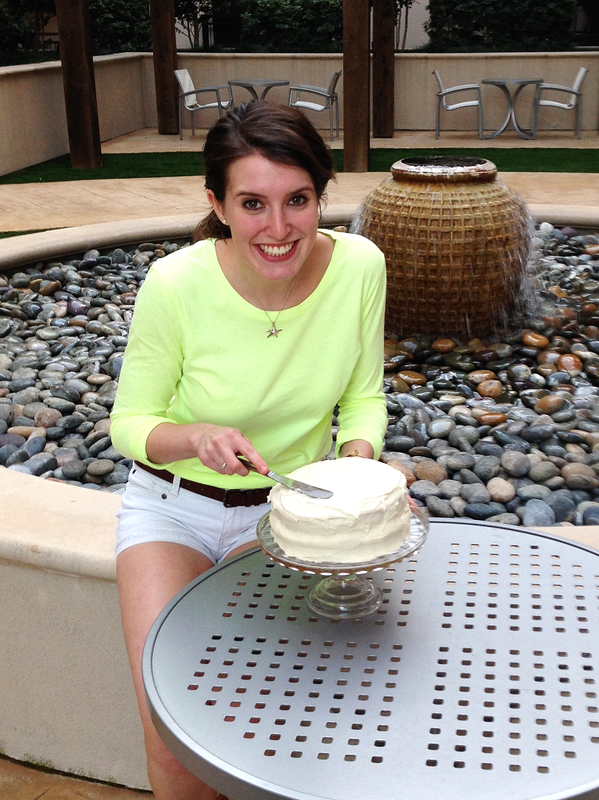 …I realize I’m frosting a cake outside and that that’s ridiculous…but the weather was too good not to! 2. Add 1/3 of the powdered sugar and 1 tablespoon of milk and stir until smooth. 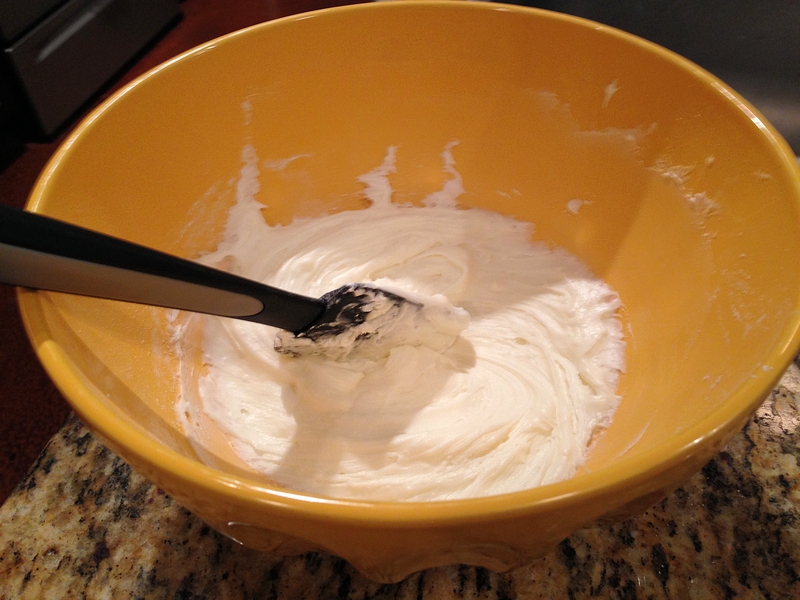 Continue this pattern, only adding the 4th tablespoon of milk at the end if the frosting is too dry to continue mixing. 3. 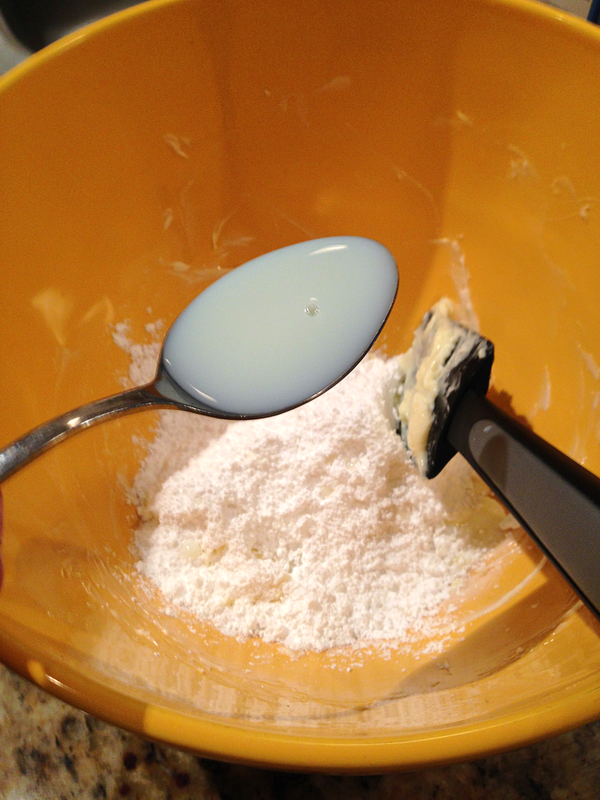 Add vanilla and salt to the frosting and mix until fully blended. Smooth, creamy goodness! 4. If you’re making a layered cake, spread a small amount of frosting onto the top of the bottom layer of the cake and stack the other layer on top (too much frosting between the cakes will just ooze out or make the cake unstable and sloppy). Spoon a generous helping onto the top of your cake and spread frosting all over the top and sides. Any extra frosting is for you, treat yo’self!!! As Tom Haverford would say. 1. Mix the softened butter until smooth. I don’t have a fancy mixer so I use a spatula to smash the butter along the sides of a bowl until it is a smooth consistency. Do NOT melt the butter! If needed, soften butter that’s been frozen for 15 seconds at a time in the microwave until it is soft enough to mix. 2. Add 1/3 of thr powdered sugar and 1 tablespoon of milk and stir until smooth. 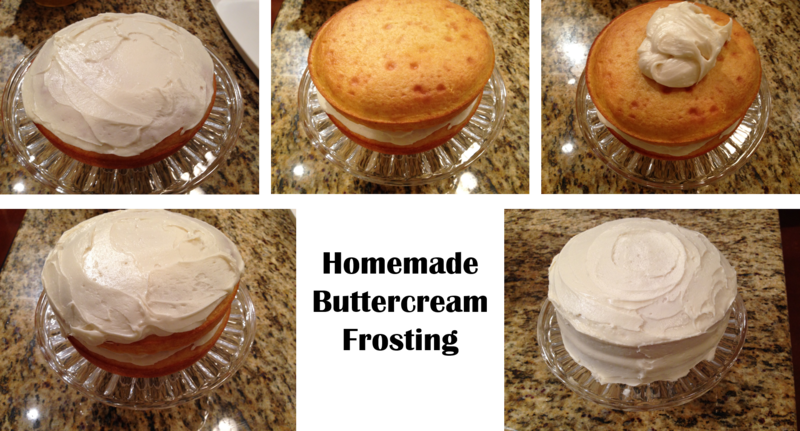 Continue this pattern, only adding the 4th tablespoon of milk at the end if the frosting is too dry to continue mixing. 3. 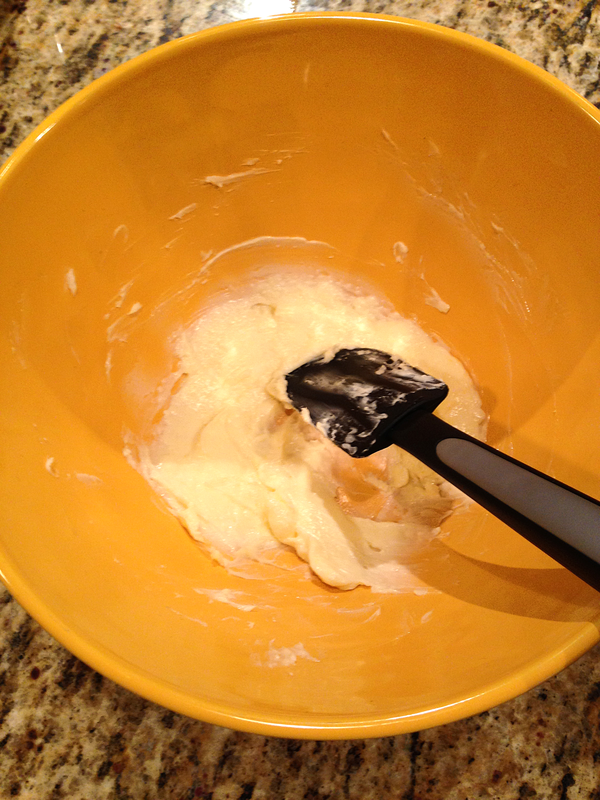 Add vanilla and salt to the frosting and mix until fully blended.